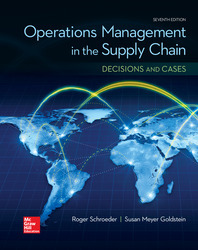 - This book employs a cross-functional perspective that emphasizes strategy and critical thinking, appealing to non-majors and practical for use in an MBA level or undergraduate course in operations management. - The size and focus of the book also make the text attractive for the cross-functional curriculum where students are required to purchase more than one text. - The eighteen cases offer variety in length and rigor; and several are from Ivey, Stanford, and Darden. This mix makes the book appropriate for both undergraduates and MBA students.